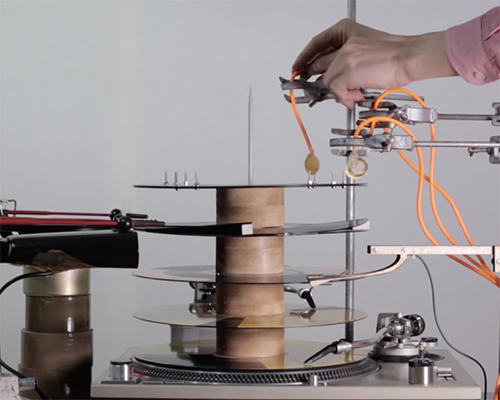 originally a studio project for making records, artist and musician graham dunning created a track with several looping records on a single axis, ensuring that they stayed approximately in time with each other. 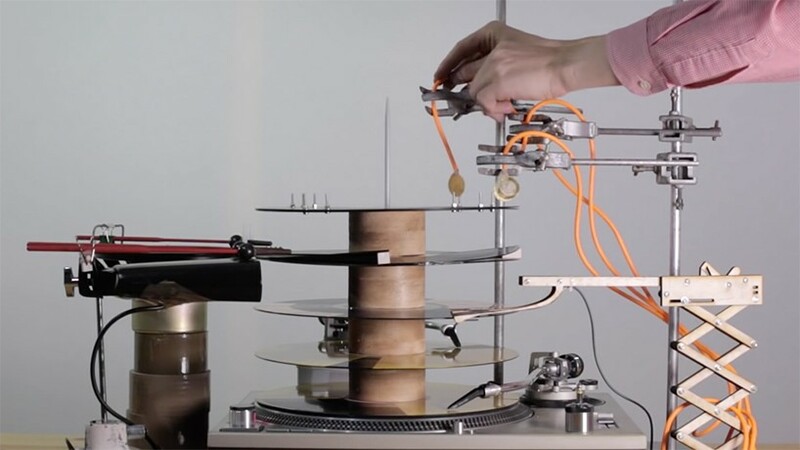 he layered fixed grooved records and surrounded the turntable with audio triggers connected to analogue synthesizers, mechanically played percussions and an automated drum machine. together in one take, all the inputs performed a live song. 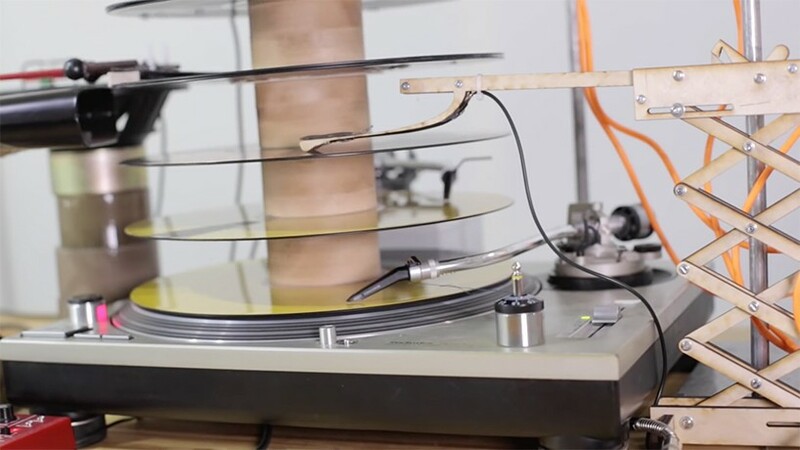 graham dunning describes the technique as ‘inherently clumsy and delicate’ which tend to lead to many mistakes and accidents. with each unique setup, the elements created unpredictable aspects to the composition. 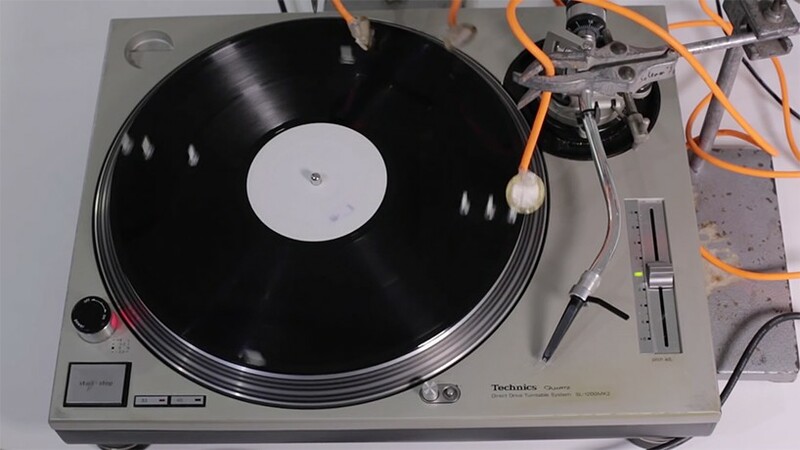 check out the video below and listen to the track.